REDUCED Price. 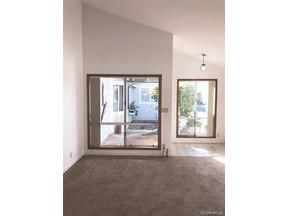 Well maintained home in desirable Royal Kunia Subdivision. Spacious covered patio in the back makes a good entertainment or family area for relaxation. Single family home, no stairs. Re-roofed on July 2017. Property is within minutes to shopping centers, restaurants, schools, banks, parks, golf courses and access to freeway. Very easy to show.